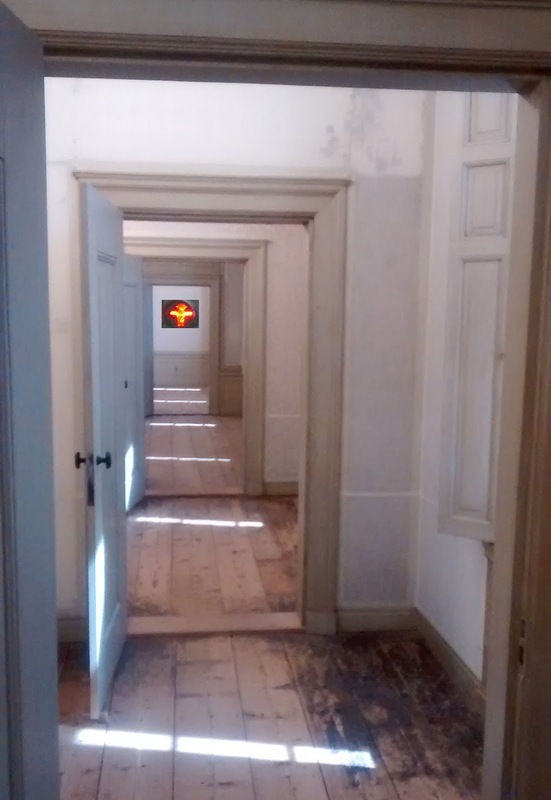 Kairos is a monthly program on Concertzender that aims at combining music and a state of mind. Some of the music played, can really take the listener off to silent pastures and softly rushing leaves in the trees leading to a tranquil mind. Other songs appear to go against any grain of tranquillity, upsetting the mind in many ways. Despite that impression, any music, the reception of this music and the way it is processed is in the ear and mind of the beholder. So most likely all music can be perceived differently each time someone hears it. Many factors can come into play deciding on acceptation and appreciation of music. Especially if it's new to the listener. Wo. in general undergoes Kairos at different days, different times during the days and in different mindsets. Today is a sunny afternoon, after having taken a pleasurable walk in (semi-)nature, the enjoyment of a late brunch and listening to Kairos on a pleasantly filled stomach. Let's see where .No's selection of music takes Wo. this month in this relaxed state of mind. .No's first selection on the show is Minco Eggerman. It can not be long before his 'Kavkasia' album has been played fully on Kairos. 'Deda Ena' is a song in which different musical traditions come together. A western guitar, Middle Eastern singing and a violin that hovers somewhere in between. The soft song changes into spoken word of a lady speaking English with an accent. Last letters n receive a k after it. Then the lady starts singing, a cappela, in a language I do not understand a word of. The lady is Mariana Sadovki, the recording is by Concertzender itself. An instrument joins her. My best guess that it is some sort of accordion. Emotions fly ever more and reach for the sky. The singing has something eastern, like Rebetika, the music of the deposed Greeks from Turkey. The vocal style is different from how we sing. There seem moments in which her throat sounds strangled, as if pressed hard and released, creating a stop start effect in her singing, sounding quite unnatural. Do I like this? That is the wrong question. Is this impressive? Oh, yes. Several parts of this 7 minute long dirge certainly are. 'Dead Ena' returns with a short fragment, with .No's birds mixed in, over before I know it. A new piano act enters Kairos. 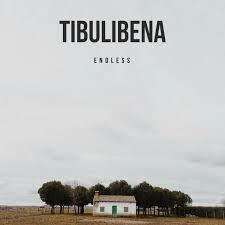 Tibulibena plays 'Endless' a soft piano composition of a kind that could have been a part of a softer or introductory part to a Coldplay song. It is not necessary at all to play a million notes to impress. Tibulitena seems to play as little as possible, yet creates a beautiful, tinkering melody that stops the world in its tracks for a few minutes and makes all trials and tribulations slide away into nothingness. Another piano, strings added. The world is still on hold. The piano is busier, the strings comfort until it all becomes busier and drops away again. Gian Marco La Serra & Emanuele Dentoni play 'Ascoltari' from a minimal piano album. This music holds some acquaintance to the kind of music I listen to more regularly. The kind of songs that are free flowing, soft and filled with beauty. That is what La Serra and Dentoni offer its listeners in 'Ascoltari'. From this instrumental tranquillity we move to Iceland. 'Enn Næđa Orđ' by Högni. Högni tires to put some tranquillity into his music, but it is more often scratching the inside of my skull. Weird sounds are woven into the standard instruments. The singing is not easy. Then a dark singing male choir enters the whole and my hunch is that .No is playing with us listeners and mixed something into the music. It is not a 100% fit, yet so close. How do you think up a mash-up like this? By then we have had an 'Interlude' as well that passed me by. The female voices are easy to spot as something new. The Schwester Hochfünf? What am I to make of that. And how many of them are there? (Seeing the picture and reading the name right, not Hochnünf, I guess my question is answered, Wo.) 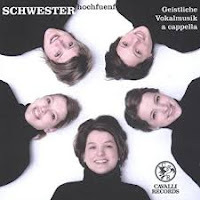 They are singing a church composition called 'Sicut Lilium'. The voices of the sisters weave in and out of each other. A piano enters and I have to pay attention. A second 'Interlude' by Howard Skempton, with the sound of spring mixed in, is, once again, over before I know it. Peter Broderick returns to Kairos with 'Atlantic' from his album 'Together Again'. Not to be confused with Emmylou Harris' hit song of the 70s. Again a composition that fits really well with the past few extremely hot days for the time of year. The laziness coming with the heat is a part of this music. Making me feel sleepy, drowsy. Sparse piano notes on a background of droning strings. An Arabic/Pakistani form of singing comes in. Long held notes in a language that is unknown to me, by a man with a somewhat hoarse voice. To my surprise it is Minco Eggerman's album 'Kavkasia' again. He lets worlds come together in 'Melisma & Gurian'. Georgian music continues with the Rustavi Choir. 'Chona' is a song that is different from what we sing. It may well be an orthodox church song, but who knows? Not me. The soft droning sound somewhat in the back accompanies the singers. At least, it is my perception there are (at least) two, taking turns in singing the story of the traditional 'Chona'. A tinkering piano takes over. High, extremely clear of sound. Only one note, repeated a few times. And the change to an even higher note. The near highest even, always sounding somewhat awkward. Nils Frahm plays his instrument of choice almost hesitatingly. Do I feel like it today? After a while Frahm decides to give us some full chords, played forté. Only to drop away again. (I nodded off for a few seconds and was awakened again by his harder played notes. That's a new one or Kairos works this afternoon.) I hear some more tinkering on the piano and yes, there is a melody in there, of sorts, but why not make it a fluent exercise? Some parts of 'I Would Like To Think' are more fluent, but this just is not for me. I am not able to make cheese of it. So we move on to something also somewhat experimental, 'Through The Gloom' by Dmitry Evgrafov'. More sound than song, more a starting of some sort of a progrock outing than anything else. Also over before I really know it and was able to form an opinion. The slow notes of a guitar étude come by. Somewhat surprised I read Gustaaf Hortence Ledoux as composer and player. Now I know Mr. Ledoux as the somewhat acidic commentator in WoNo Magazines of old, his contribution to the Michael Jackson special is all but legendary, but was totally unaware of his musical skills. Not only is my ignorance tested it is baffled to find out that this small composition is Mr. Ledoux 153rd Prelude. Congratulations esteemed friend! Another track from the 'The Minimal Piano Series, Volume 1' album, which turns out to be a compilation record. This time Ashot Danielyan comes by with 'Beyond Northwind'. Slow piano notes come by with atmospherics of all sorts hovering in the background. Danielyan is not afraid to let winds blow, waves crash on the beach and sparse guitar notes to accompany him. Tranquil is the mind. 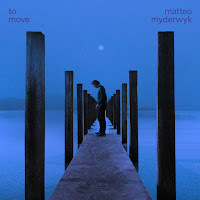 Matteo Myderwyk has not made it to these pages on the basis of his album 'To Move', as it is too far removed from the music I usually have the patience for to listen to. That is compensated by the fact that .No has entered him for the first time on Kairos. 'Mirrors' from 'To Move' fits in perfectly on this episode of Kairos. 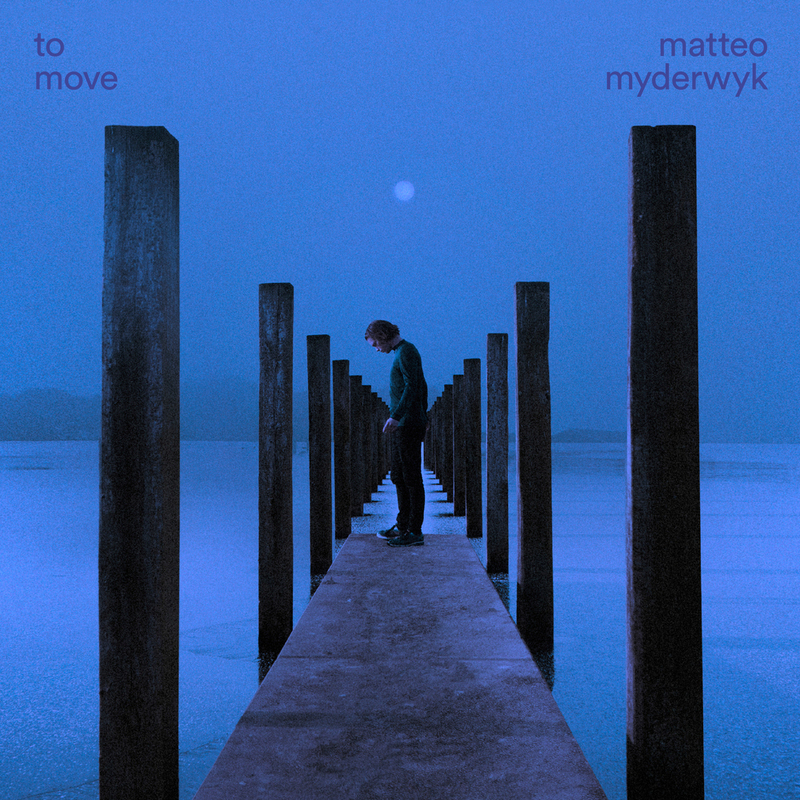 As I had expected hearing 'To Move' a while back. The slow piano does it all here, with a 'Tubular Bells' like motif. That turns out to be played by Jeroen Elfferich. His 'Fine' can be found on the minimal piano album as well. The pianist tinkers away with an ever repeated motif that slowly changes, but I'm afraid I have heard enough piano by now. It all ends with a fragment of an album reviewed in the fall of last year on this blog, 'Heiress' by Novo Amor and Ed Tullett. Ali Lacey's high voice softly brings Kairos to an end. The soft, almost jazzy 'Pteryla' is a beautiful song, but the shortness of the fragment does it no right unfortunately. Perhaps some more of it at a later date, Mr. .No? 00:13 Minco Eggersman. Deda Ena. 02:29 Mariana Sadovska. Widow Song. 09:04 Minco Eggersman. Deda Ena (fragment). 13:21 Gian Marco La Serra & Emanuele Dentoni. Ascoltarsi. Album ‘The Minimal Piano Series Vol.I’. Blue Spiral Records BSR 015. 16:04 Högni. Enn Næđa Orđ. 20:21 Howard Skempton. Images: Interlude 5. John Tilbury, piano. Album ‘Well, well Cornelius’. Sony SK 66482. 20:56 Henk badings. Sicut Lilium. Schwester hochfünf. Howard Skempton. Images: Interlude 5. John Tilbury, piano. 23:54 Howard Skempton. Images: Interlude 5. John Tilbury, piano. Album ‘Together Again’. Erased Tapes Records ERATP 104. 27:36 Minco Eggersman. Melisma & Gurian. 29:18 Anoniem (Trad.). Chona. Hamlet Gonashvili, Rustavi Choir. Album ‘Hamlet Gonashvili‘. JARO 4191-2. 34:24 Nils Frahm I would like to think. Album ‘The Bells’. 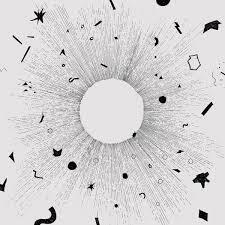 Erased Tapes Records ERATP021CD. 39:59 Dmitry Evgrafov. Through the gloom. Album ‘Comprehension of Light’. FatCat Records CD13-27P. 42:28 Gustaaf Hortense Ledoux. Prelude 153. Gustaaf Hortense Ledoux, guitar. 43:42 Ashot Danielyan. Beyond Northwind. 51:25 Jeroen Elfferich. Fine. Album ‘The Minimal Piano Series Vol.I’. Blue Spiral Records BSR 015. 58:42 Novo Amor (Ali Lacey) & Ed Tullett. Pteryla (fragment).